STCNtech will carefully examine your work flow -- how your business does business -- then we match you with the perfect hardware and software solutions for your unique challenges. Is that all? Heck no! Then we teach your team how to use that tech the right way! STCNtech helps enable your team to use the tech to create success for themselves, and you! All you have to do is figure out what to do with all the time we’ll save you. Technology changes fast. And so do we. With years of experience in enabling business continuity, we have seen firsthand how important new technology can be for achieving new heights in productivity and efficiency. 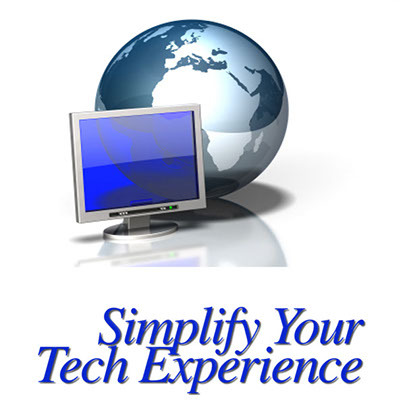 Our mission at STCNtech is to enhance the experience of using technology to help you achieve a greater good. To be empowered with the right technology, at the right time to make the magic happen. Our clients find themselves with the time they need to grow their businesses, pursue their passions, and spend time with their families and friends. At the end of it all, a unique solution is designed, built and implemented for you with best in industry products that enhance what you do every day -- be awesome. We think it is a pretty cool idea... and that just makes the world a better place... Right? SIGN UP FOR OUR FREE NEWSLETTER -- TECH BYTES -- HERE! Serving Medical, Dental, Chiropractic, Retail, Restaurants, Small and Home Offices plus Residential technology services in Berks, Chester, Lancaster, Lehigh, Montgomery and Delaware Valley Pennsylvania - Simplify Your Technology Services and Consulting for Apple, Microsoft, Dell, HP, Aruba, Wireless, WiFi, Networking and more. Premier iCracked iOS Apple iPhone and Apple iPad Repair Center.